I had been told to expect her today. She’d been on my class roster since the beginning of the year but this was the first time I had seen her in person. Such sad eyes. Such a defeated look on such a young, beautiful face. “Welcome back!” I said smiling and picking up her loose hand to give it a silly shake. “I thought we might see you today!” I said ushering her to a choice seat in a front corner. Rayvin had been in my class last year when I taught 7th grade. She had disappeared about halfway through the year – sucked into a mire of horrific circumstances, homeless shelters and life experiences no one should have to endure. Now that I was teaching 8th grade and she had come back to the district, she had been returned to me like a dead letter. The poor thing slumped into the seat I had given her. But I wasn’t about to give up. I gave her an assignment I knew she’d enjoy. I remembered she liked to read horror stories so I put a book under her nose and opened it to Edgar Allan Poe. She obeyed with no comment. But I wasn’t about to give up. 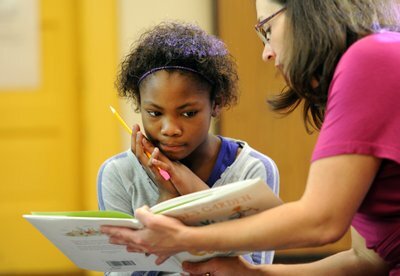 As the class discussed the story, I offered her a chance to participate. After every question I’d ask, I let me eyes casually fall on her face to see if she was interested in commenting before giving someone else a chance. She met my gaze but said nothing. When class was over, she crumpled her papers in her hand like a tube. She stopped as if she had heard me for the first time. “Would you like a three-ring binder?” I asked and reached under a desk to a pile of supplies I collected for just such occasions. Her face lit up into a smile. I don’t remember what she said after that. I gave her the binder and she left. It was the best moment of my day. The best moment of my whole week. I had gotten through to her. She knew that someone – SOMEONE – cared. We waste a lot of talk in academic circles on curriculum and standards and lesson plans. But in the classroom, most of the time it’s all empty words. Teachers have to make lightning fast decisions in real time. They can’t refer to a workbook, their notes or government-sanctioned benchmarks. They have to appraise the situation and act. If a student is misbehaving, the teacher has to quickly make a judgement why it’s happening, who it’s affecting and what’s the best course to correct it before it spreads out of control. If a student isn’t acting like his-or-herself, the teacher has to mentally take note of the situation, compare it to past knowledge of the child’s history and then decide how best to help the young person without bringing down undue attention. If a student doesn’t understand something, the teacher has to find out where the misunderstanding comes from, explain away the troubled spot and then gauge to see if his action has solved the problem. And all in the blink of an eye. It’s one of the things I love about teaching. It’s also why not everyone can do it. You have to not only live in the moment but persevere. You have to be there for all 20-or-30-something students as well as you can, as quickly as you can, at the same time. It’s a rush, let me tell you. It’s also draining and frustrating and painful. You get to help people – people who really need it. Not at a remove. You get to stand in front of those in need and help them up – even if they don’t know they’re on the ground. There is such joy in what I do. I’ll keep doing it even though my state and local government are determined to evaluate me to death with mountains of paperwork and statistics that would make even a statistician weep. I’ll keep doing it even though my duly-elected school board publicly bad mouths their staff and refuses to even negotiate with us in person so we can afford to keep our own families. I’ll keep doing it as long as I can. One day I may not be able to do it anymore. My health suffers. Time with my wife and daughter gets sacrificed. But no matter what happens, I helped Billy express himself in writing. I made shy Kelcey feel safe enough to share her journal with the class. I showed Shaun that sometimes stories are about people just like him. And I made Rayvin smile. That’s so much more than enough! NOTE: In an effort to preserve students’ anonymity, names and unimportant details may have been changed. 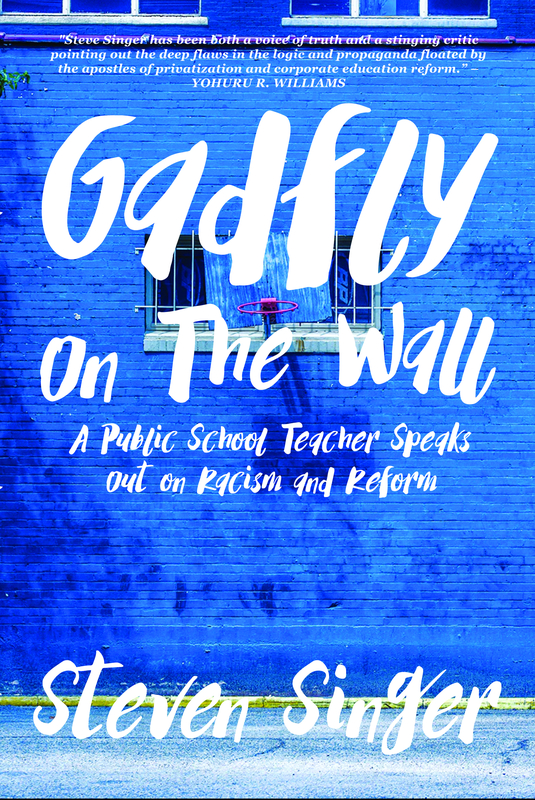 This article has been published in Public School Shakedown and the Badass Teachers Association blog. Thank you. As I read this post—this former U.S. Marine and Vietnam Veteran, who returned home from that unjust war that was also based on lies, with a serious case of PTSD—my eyes filled with tears because I was Rayvin when I was a child growing up in poverty with a father who was an alcoholic and a gambler, and then decades later, I taught for thirty years and had my share of children like Rayvin.Many of the children I taught were me when I was a child. As children, we often don’t intellectualize the environment and lifestyle we are thrust into without choice. We just react to it as we grow and mature. For instance, it wasn’t until after I retired from teaching and became aware of the corporate reform movement that I ever stopped to think about the world I grew up in as a child and how it effected me. If the Rayvins of the world are going to break free from the rut caused by poverty and neglect, their best bet is a teacher or teachers who care—teachers who are supported by their country and not attacked by greedy corporate reformers interested in profits and power.